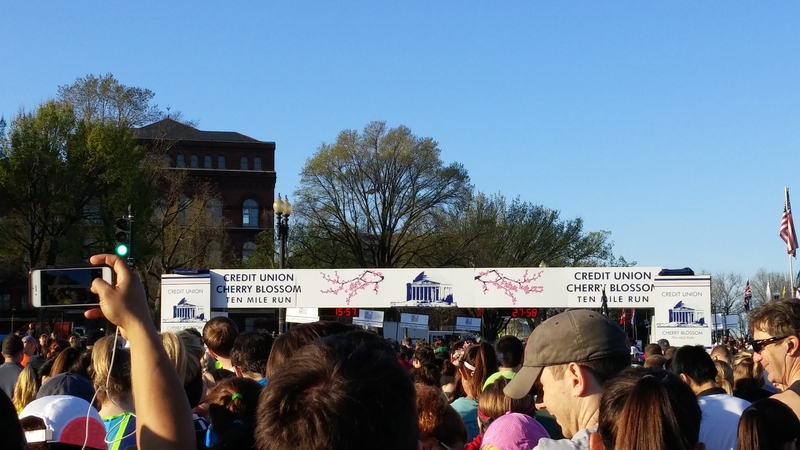 But I am so excited to FINALLY share my experience with the Cherry Blossom Run! 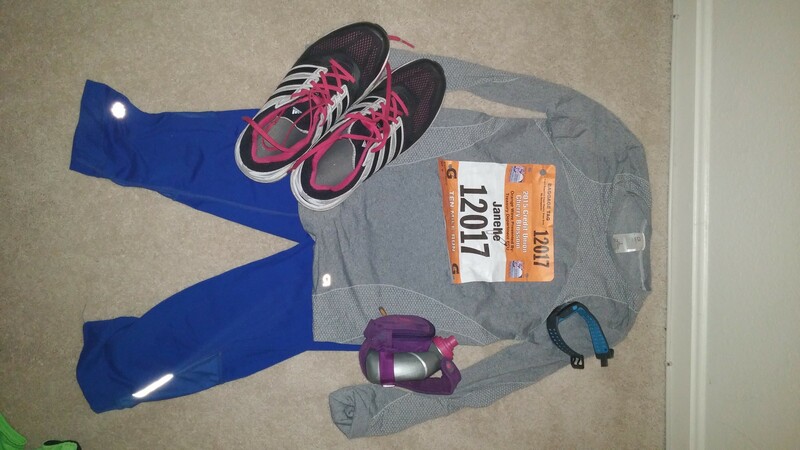 If you’ve been following my blog, you know that I spent 10 weeks training for this race, mostly in tough winter conditions, so I was feeling quite a bit of pressure to have a good race. So let me give a full recap…I hope you enjoy it! The Cherry Blossom Run takes place in Washington, DC, so this was my first official “racecation”. Bret and I were both running the race and we headed down from Philly to Alexandria, VA where my brother lives. We were able to stay at his place while he was away for the weekend – thanks again, bro! My sister was signed up for the 5K, and since she lives in Maryland, she was able to pick up all of our bibs on Friday at the Expo, so I wasn’t able to check it out. That was fine by me because I’m not really an impulse shopper, and I find race expos to be full of knick-knacks that I don’t really want or need. Bret and I had a tasty Thai lunch and a much-needed nap after our time on the road, and then 3 of us went to Bilbo Baggins for dinner. Yes, I’m a Hobbit/LOTR fan…but my sausage pizza left much to be desired. The Shire needs to get some better food! Oh yeah, and I did have an alcoholic cider with my dinner. I had my clothes laid out for the morning and went to bed around 10 pm. Bret spent some time watching the Royals on TV. I was so nervous about the race, but thankfully I got a decent night’s sleep. The alarm was set for 5 am. I had an English muffin with strawberry preserves for breakfast. 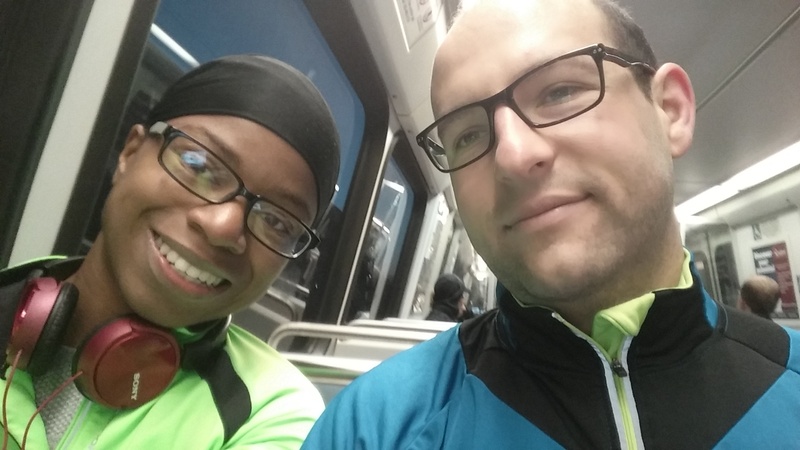 We took the Metro at 6 am from the Yellow line and then walked from L’Enfant Plaza to get to the race. The train wasn’t packed at all, which was a relief. It was a slightly chilly morning in the 40’s. But the sky was blue and the forecast was predicted to be in the upper 60’s…perfect running weather! 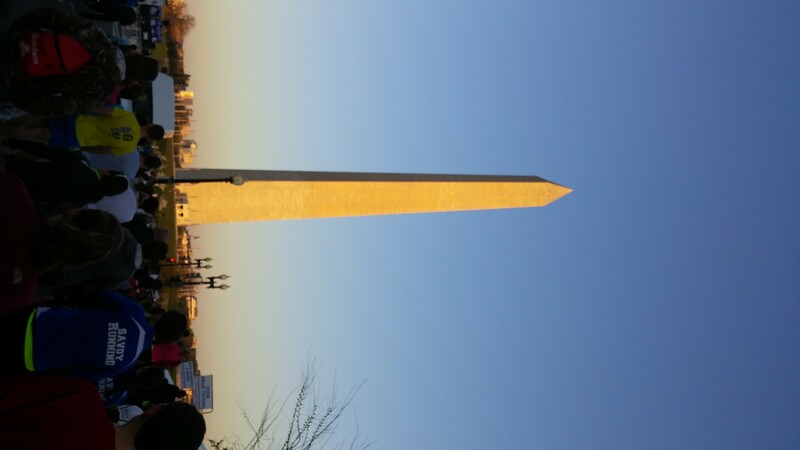 It was great seeing the Washington Monument and a there was a sea of people as we got there a little bit after 7 am. Then the Race Director got on the loudspeaker and announced that there was a serious accident along part of the race course, and that they had to cut it short by half a mile. So the 10 miler was now a 9.5 miler. What?! I can’t deny that I was a bit disappointed, but I already know that I can run 10 miles…I just hope that the accident didn’t leave anyone seriously injured. Bret dropped off our bag and then I waited in the port-o-potty line for several minutes. I almost forgot my hydration bottle and gels so I had to get Bret to get it out of the bag for me….that was a close one! Then as we were still waiting in the line, Bret gave up and went off to the Red Corral. I was eventually able to get to the potty…gosh those things are disgusting on a race morning! Then I headed to the VERY crowded orange corral for the race to begin. Crowded, crowded, crowded…that’s all I can say about the starting line. I was really confused and a bit disoriented because I guess we had to go around a curve to get to the start? I couldn’t really tell where we were going and just kept following the crowd. It almost seemed bizarre once we finally reached the start that this was it. We weren’t told “ready, set, go” like I’m used to when I’m in a corral, so a lot of us didn’t even know that we were getting started! Now we’re off! I wanted to focus on the plan: Don’t bob and weave around runners, and start off with a 10:30 pace. But it was not easy to do this. All I could see was people, people, people, and I couldn’t get a good rhythm. I was also trying to get my music to play on my phone, and it was NOT working. It would keep breaking up every 20 seconds or so. This was a problem the entire race. At some point between miles 4 and 6 was the loss of a half mile. Since I’d never run the race, it didn’t make a difference to me course-wise, but it was a bit challenging passing the mile markers that obviously didn’t sync up with my Nike+ watch since it was always a half mile off. The Cherry Blossoms, the river, everything was so beautiful! I loved running in that environment, it was so scenic! I was tempted to stop and take pictures but there was no way I could slow my momentum! There were maybe 2 or 3 points in the race where I felt that things opened enough to get a good run, but at this point, all I was doing was bobbing and weaving. For some reason I also thought that I could try to get the race to be as close to 10 miles as possible by taking the “longs” instead of the “shorts”. Silly me. But something happened during this race that I didn’t think would actually happen – I got faster. The plan was to speed up the last 2-3 miles, but it really happened around mile 5 and got faster and faster along the way. Insane!! I actually started to think that I could do REALLY well. I started to spot people ahead of me that I wanted to pass, and I found it easier to do so with each person I selected. I couldn’t believe it! I felt like a complete rock star, and even though I did stop at almost every water stop, it didn’t throw me off at all like it usually does. But I knew we were coming to the end and I had to get ready for that big hill near the finish. I attacked the HELL out of it. And it took a bit out of me haha, but it felt great in a crazy way! Then I could finally see the finish, I sped up again, and it was all over! What an amazing race!! It’s always a thrill when you finally see that finish line. I really pushed myself and I felt awesome! I ran across the finish with my arms in the air and I was full of such relief. My final time was 1:38:22! I felt really good about everything. No pain, no soreness (yet), and I couldn’t believe I was able to go so fast when I really wanted to kick it in gear. I felt so much more confidence in my running than I had in a VERY long time. I think that I should have not worried about my music and ran without it..who knows what difference that could have made? Fueling went really well. I was worried I’d need to walk to take the Clif Shotbloks but that wasn’t necessary at all and I didn’t drop any! I kept well hydrated too, so everything was in balance despite the heat. Very awesome! After the race, I did see Bret at the sideline and we met up to take one of the official photos. Bret finished around 1:13…speed demon! Then I had to figure out where to find my medal (it took a while) and figure out where my sister was, who had finished the 5K not too long after I finished the 10-mile race. We took a bunch of photos around the monument and reflected on our experiences. They both seemed pretty happy, which made me happy! My friend Brandy and his girlfriend Pam invited us to go to Matchbox with their friends for post-race brunch. I’d been there once before and couldn’t resist getting the pepperoni pizza…with a mimosa, of course! Everybody’s food looked awesome, and I’m glad Pam made a reservation far enough in advance that we could get to the grub pretty quickly! It seemed that everyone had a pretty good time at the race. I was the “slowest” runner at the table, but for once, I didn’t care. I was still on my runner’s high and really proud of my race. After brunch we headed back and it was time to get back on the road. I always enjoy my time in DC…I wish we didn’t have to leave! But thankfully had a pretty smooth ride back home to Philly. 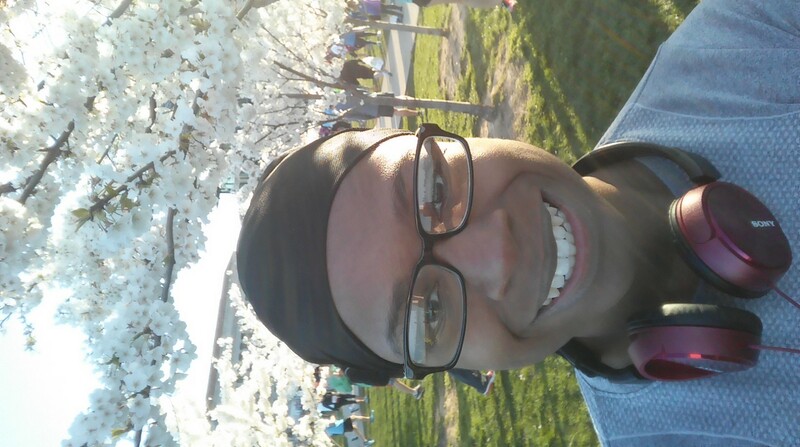 Overall I had a great experience at the Cherry Blossom Run but I still have to give some critiques for the race. The course is beautiful. We were lucky to have cherry blossoms fully in bloom for the first time in several years – I imagine it really enhances the experience. It was great to see the monuments and simply just be away from Philly! Lots of options for what to buy/not to buy. If you don’t want a medal, you don’t have to buy one. If you want a tech tee, you can pay extra for that. I liked that the race could be as cheap or as expensive if you wanted it to be. The lottery system was well done. This was my first race lottery and I was glad that we were able to all get in by registering as a group. Easy to get around on the Metro. The Metro made life much easier, even though we had some trouble getting OUT on the way home (I will spare you that tale). If only the Metro could be free like the Broad Street line is in Philly for the Broad Street Run! They handled the course change very well. I’ve never had a race where an emergency occurred and they had to incorporate Plan B. While it was a slight bummer, I have no complaints and everything set off pretty smoothly, as far as I could tell. The crowd! I still can’t believe that with 15,000 runners, the course was packed the ENTIRE race. I guess you really have to be an elite to have your best race and not worry about bobbing and weaving. I also found it very overwhelming trying to get out once I reached the finish line. The layout was weird. Sure, I’m not from DC, but nothing really made sense to me. The bag check seemed unnecessarily far away, and it was almost impossible to figure out where to get my race medal. There needed to be clear meeting places for people to get with their friends and family – I guess Rock and Roll spoiled me! The corrals were too few. It seemed that there needed to be more corrals, and even though they had the corrals timed to the minute, we were still delayed. The orange corral was extremely packed and it made me a bit disoriented as I got to the starting line. The emails weren’t great. Communication from the race wasn’t as frequent as I would have liked, and I found that the email with all of the important information we needed for race day was too dense. As you can see, I like bullet points! The water stations struggled. I know how tough it can be to work a water station and keep up with the demand, but maybe I was too “back of the pack” to get the advantages of a well-equipped water station. Need more entertainment! I didn’t notice at the time, but there weren’t a TON of spectators out except mainly at the start and finish. There was a life drum corps and a radio DJ at one point, but I would have appreciated some more music along the race. I did appreciate Mr. and Mrs. Incredible though, whoever they were! I really enjoyed this race, and while it may seem like a lot, my cons are generally nitpicky, so I would absolutely recommend this race to other! If you are claustrophobic, I’d probably avoid the Cherry Blossom Run. I have so many people that I have to give a shout out to during this race experience. Thank you to Kristy, my running coach, for giving me a plan that I was able to successfully execute! If you’ve followed my training recaps, I’ve given myself pretty high grades each week as I was able to do all of my prescribed runs, and that was because I wanted to improve from my time at the Rock and Roll Philly Half Marathon. Running for 4 days a week and having a variety of speedwork and hill training were paramount to my success. Of course, I also have to thank Bret for his everlasting support. I had to make a lot of adjustments to accommodate training in my regular life, so getting the time management right is a challenge, but worth it! Bret is not as crazy about his running as I am, even though he is super speedy. Thanks for making dinner on nights where I needed to run! We actually didn’t run too many long runs together this time, versus last summer. I think I’ve grown up a little bit since then. 🙂 I’m so glad that Bret and my sister agreed to participating with me! I know they both had a good time! Thanks again to my big brother for giving us free room and board for the race weekend. I hope you can join us next year for Cherry Blossom, because I think this can be a new family tradition! And thank you to all of my readers who have encouraged me during this process, who sent positive messages on Instagram…it all meant a lot. I am often not too sure of myself with this running thing, especially since my past injuries have held me back. But now I really think that I’ve made it to the other side. I feel like a “real runner” again. I’m back in love with this thing and I can’t wait to share more of my experiences with all of you. Thanks for being a part of the ride! So many bloggers were out this weekend at the Cherry Blossom Run! If you were there, how was your race? Do you like crowded races? Previous Post Gone For a Run Virtual 10K Next Post Why Do I Run?